Patricia DeWitt, director for public policy with AAUW of Florida; Donna Kuldau, chair of Jacksonville Mayor Lenny Curry's Commission on the Status of Women; and Riddhi Shah, Equal Pay Ambassador from Florida State College at Jacksonville were in Studio 5 to talk about money, what workers earn, and how to close the gender pay gap. 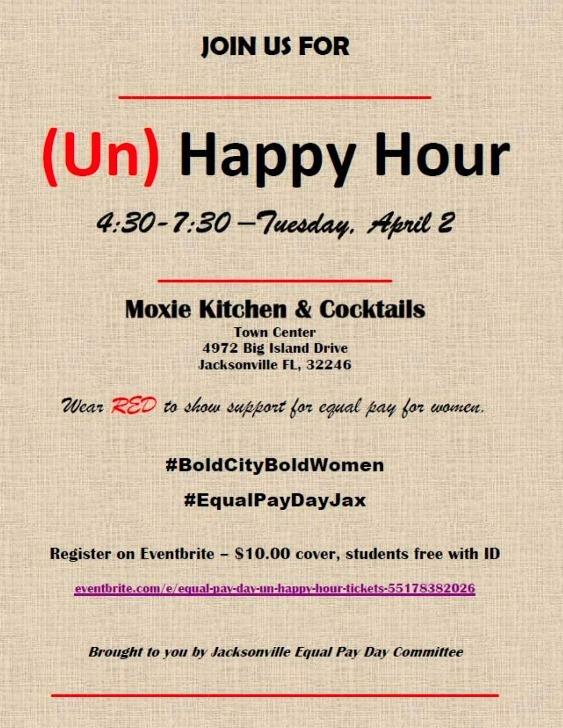 (Un) Happy Hour is Tuesday, April 2, 2019, 4:30 to 7:30 p.m. at Moxie Kitchen & Cocktails, St. Johns Town Center, 4972 Big Island Drive Jacksonville, FL 32246. Participants are asked to wear Red. The next Mayor’s Commission on the Status of Women meeting is April 22, 2019, 4:30 p.m., 214 North Hogan Street, 7th Floor Jacksonville, FL 32202 Ed Ball Building - Room 721. 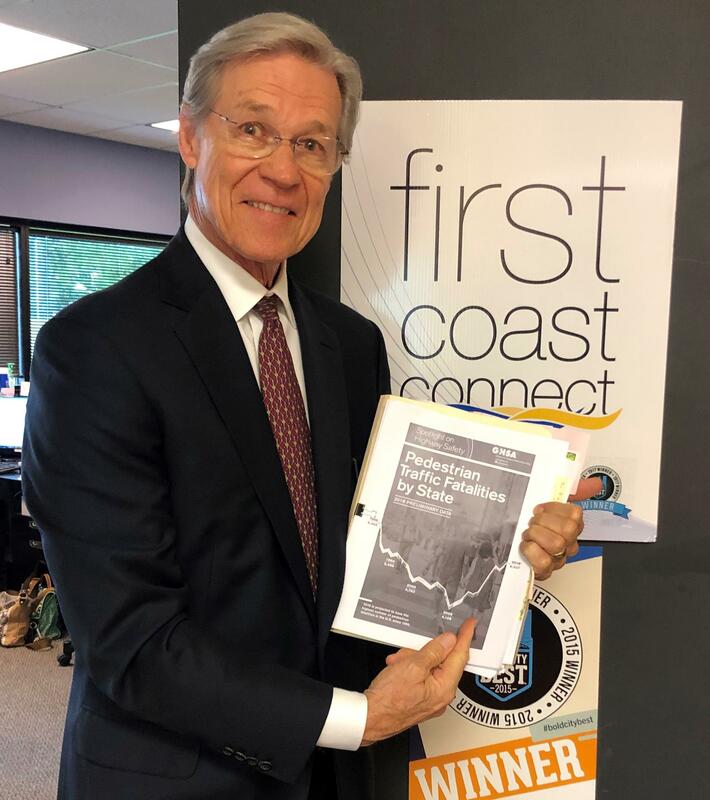 Wayne Hogan holding the Governors Highway Safety Association 2018 report. April is Distracted Driving Awareness Month. While traffic deaths nationwide have decreased in the past decade, pedestrian deaths are the highest they’ve been since 1990, according to a report from the Governors Highway Safety Association. An estimated 6,227 pedestrians died last year. Florida ranked the top, with only California having more pedestrian fatalities. Jacksonville attorney Wayne Hogan was in Studio 5 to explore the connection between distracted driving and pedestrian deaths. We spoke with author, journalist, biographer and cultural historian Wil Haygood about what we can expect from his talk about the incredible story of the Harlem Renaissance tonight at the Cummer Museum. If you are interested in attending Wil Haygood's talk at the Cummer Museum please call 9048996038.